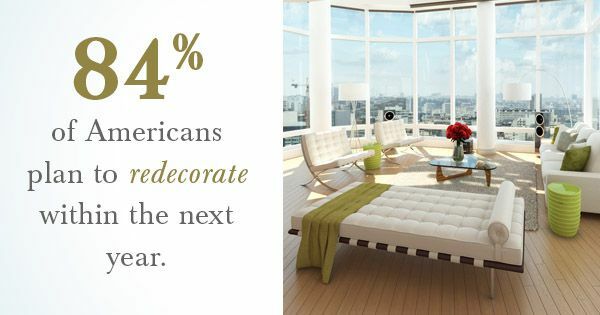 According to a 2013 Houzz survey, wholly 84% of Americans plan to redecorate within the next year. Another 40% revealed some kind of remodeling venture was in the works, and 10% were currently custom building an entirely new home. In other words, the desire to infuse more personality into our homes — to build bigger and better things — is always there. Thankfully, renovation and design trends are always changing and making it possible. Award-winning architects reveal what is new in home design and renovation as well as the home remodeling process. You’re going to need some extra room for that wine bar (a necessity, of course). How are homeowners making up for it? Micro-kitchens and micro laundry rooms are rapidly gaining popularity. The idea is to use space as efficiently as possible in these particular rooms, opening up large, open spaces for dining rooms or living rooms — where people truly appreciate some extra room. Knowing where to start can be overwhelming. Start small, and go from there. A popular new trend involves personalizing kitchen, bathroom, and bedroom appliance and furniture knobs by painting them for a pop of color or swapping them out for ornamental crystal handles. Over half (53%) of Americans believe that there is no better time than right now to renovate or remodel their homes. Why not incorporate some of these new, stylish trends into the home remodeling process?